How did your relationship with your parents change when you reached the legal age for adulthood? My mom was cool. I didn’t have a specific time curfew when I was a teenager but I was expected to tell my folks when I would be home. After I turned 18, I was out one evening helping to judge 4-H record books. My ride didn’t drop me off at home until 12:30 a.m. The only one up waiting for me was the cat! 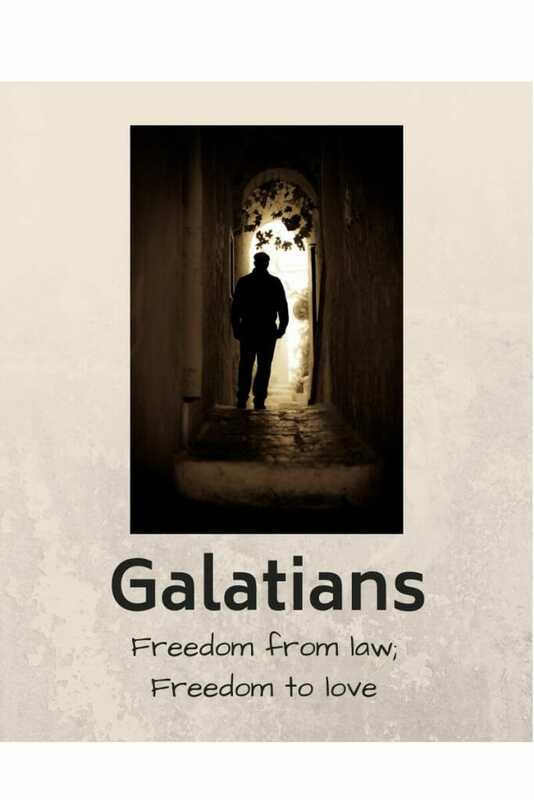 This week, we’re looking at Galatians 3:24-4:31. Paul compares coming to faith in Christ to that of a child reaching adulthood. Think about your life as a child. What rules did you have? Why did your parents make those rules? Who would eventually inherit your parents’ money, possessions, and property? If your parents died while you were still underage, when would you receive your inheritance? Would you receive it right away or would you have to wait till adulthood? Paul compares the law of Moses to the rules a child is under before he/she reaches the legal status of adulthood. Coming of age was a big deal in Roman society. When a boy turned 16 or 17, he put aside his childhood toga to don the white toga of adulthood. It was on that day that he was considered a Roman citizen with all the rights and privileges of citizenship. How is a child like a slave? How is a child different from a slave? But when the set time had fully come,God sent his Son, born of a woman, born under the law, to redeem those under the law, that we might receive adoption to sonship. What does it mean that Christ came at “the right time?” Why is it hard for us to wait for God’s timing? Put this verse in your own words. How does Jesus’ entry into the world compare to the “coming of age” of a Roman young man? When we accept Christ’s redemption in faith, it’s as if we have moved from the boundaries of childhood into adult citizenship. What rights and privileges do we now have? How does this change impact our relationship with our Heavenly Father? Read Ephesians 2:13 and Ephesians 5:8. How else is life different for those who have put their faith in Christ? For many years, I lived under my mother’s expectation that I would sew all my own clothes. I took sewing in 4-H. At that time, it was cheaper to make our own clothes and Mom constantly pointed out what better quality our hand-made clothes were as well. But after age 18, I was busy with college, I hated sewing, I couldn’t see well to sew, and there seemed to be higher priorities in life. Still, I lived under a layer of guilt that Mother would disapprove of me if I did not make my own clothing. At age 27, I decided the time had come to stow that expectation elsewhere. As an adult, I could make my own decision whether to sew or not to sew. I never made anything for myself again. Yet my mother’s “law” taught me to be frugal and to be aware of the quality of the clothes I bought, principles I have used in making my own decisions. How can we become enslaved by the observance of certain holidays? Do you feel enslaved by the celebration of Christmas or Thanksgiving? By the controversy over Halloween? What do you need to change in order to approach the holidays with a sense of faith and freedom? Which rules, habits, or expectations have you observed yourself or other people doing because they were trying to please their parents? What is unhealthy about this? What other societal/church expectations do we find ourselves pressured to keep? Tempted to press on others? How does Christ free us from those expectations? If we are living as citizens of the Kingdom with full rights and privileges and a promised inheritance, how will that affect the way we live? What one attitude can you change this week to help you begin to live in freedom?